In my shopping for homeschool curriculum this year, I was able to find all sorts of wonderful math manipulatives at really amazing prices (thank you, consignment sales). One small thing I picked up is a hundreds chart. It doesn’t look like much (mine especially, it’s rather well used), but it’s an incredibly useful tool for learning and practicing all sorts of math! Recognizing Large Numbers– A great way to combine number recognition and literacy is to try these Mystery Letters for the hundreds chart. Practicing skip counting– my daughter had gotten very good at skip counting by 2’s, 5’s and 10’s last year, but will no doubt need a refresher. 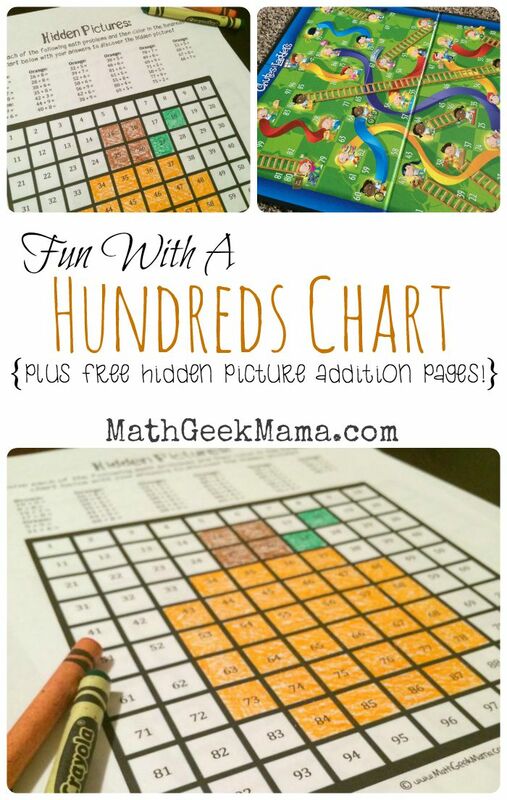 A hundreds chart provides a nice visual. It’s also fun to see what kinds of patterns are made by coloring various multiples. Addition and Subtraction– there are many ways to practice adding and subtracting with a hundreds chart. For example, you could use the free printable game cards from the Sidewalk Chalk Number Line Race to play to 100 instead of 20. 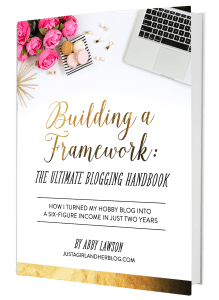 Or try adding an entire row or an entire column. Counting On– Even though she knows how to count by 5’s starting from 0, it’s a whole other story to count by 5’s (or 2’s, etc.) when starting from a random number. Counting Money– My daughter also struggled with counting coins of various denominations, so this year we will use the hundreds chart as a tool to aid in this skill. And I’m so excited to share today something that I made just for my daughter (because she LOVES drawing and coloring): Hundreds Chart Hidden Pictures! 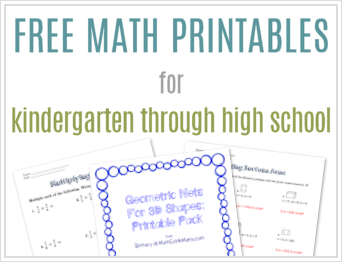 This set of addition pages is free to download and easy to use! 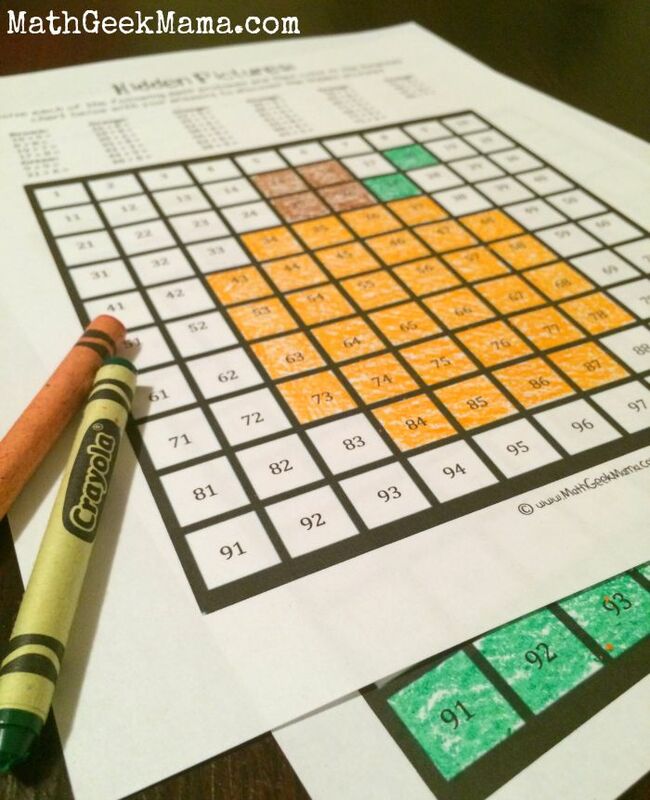 Just have your child (or students) answer each of the addition problems (single digit addition), and then color in the corresponding square in the hundreds chart. 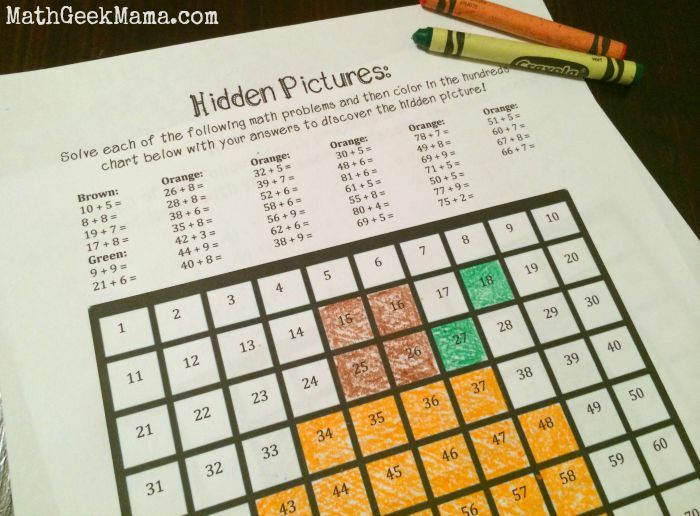 While I will be using it with her to work on early (first grade) math skills, there are actually ways you could explore numbers with the hundreds chart with your older children! Sequences and Patterns– Much of mathematics centers around finding and making sense of patterns. Try creating a sequence and see if your child can find the next 3 numbers and explain their answer. Or let them look for patterns in the numbers. Rounding– The girls that I tutored this Summer struggled with rounding, so a more visual approach may be to give them a number, and then let them use the hundreds chart to decide which way to round it. 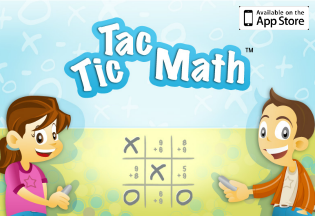 Play the Factors and Multiples Game– Player 1 starts by crossing off a number less than 50. Player 2 must then choose a number that is a factor or multiple of that number. Play continues as each player crosses off a factor or multiple of the previous number until there is no other options left. Compare composite and prime numbers– follow the directions in #17 of this post for making a sieve to determine which numbers are prime. This is a great way for students to “see” what makes certain numbers prime rather than simply giving them a formal, “mathy” definition. 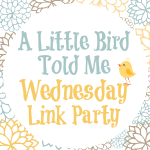 The list of ideas could go on and on, so I encourage you to check out the huge list of ideas at Let’s Play Math! There are some online games to play using a Hundreds Chart, as well as more brilliant ideas that aren’t included here. 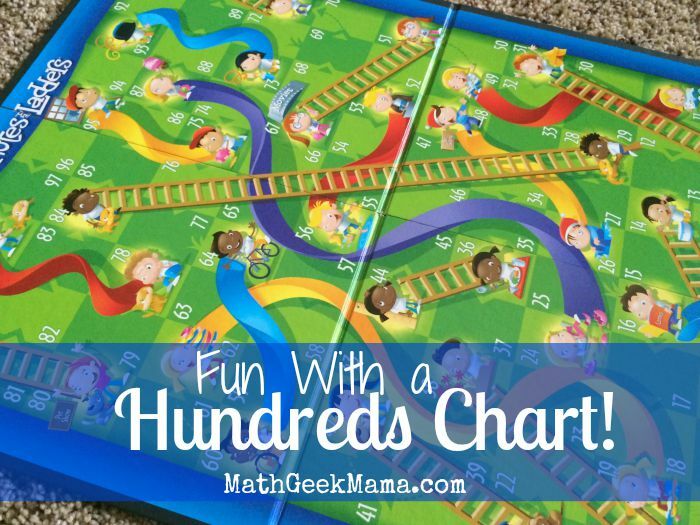 And don’t forget, the classic board game, Chutes and Ladders is really just a giant hundreds chart that uses addition and subtraction to race to the finish! So if you’re looking for a fun way to include math in your family game night, pull out Chutes and Ladders and have your kids do some mental math addition to find where they land instead of counting. Or, see if they can figure out how many they moved backwards when they fall down a chute. Thank you!! A 100 chart came with my math curriculum’s manipulative pack, but I had NO idea how to use it. I mean, a kid can only count to 100 so many times. Thank you for these wonderful, doable ideas! !